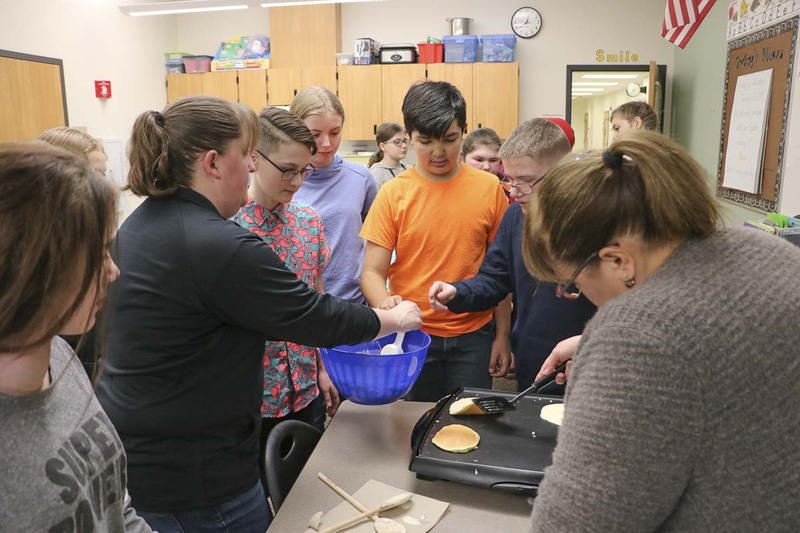 BATTLE GROUND — It’s nearing the end of third period in sixth grade teacher Tracey Pennington’s class at Daybreak Middle School, and the excitement in the room is palpable. The students are practically bouncing in their seats waiting for the bell to ring. As soon as it does, the classroom empties in a flash as the students quickly line up before heading on their way downstairs to take part in the school’s peer mentoring program.